St. Nicholas Antiochian Orthodox Christian Church is a parish of the Antiochian Orthodox Christian Archdiocese under the authority of Metropolitan JOSEPH and the Diocese of Toledo and the Midwest, His grace Bishop ANTHONY. Antiochian, means the city in the Book of Acts where it it is recorded “they were first called Christians” It is the historic residence of our chief shepherd under Christ. Currently Patriarch John, has a home in Damascus, Syria, and Balamand, Lebanon. Orthodox means at once both “right teaching”, and/or “right glory”. Despite our human weakness, we believe the Orthodox Church is the true successor of the ‘fullness’ of the faith of Jesus Christ first delivered to the apostles and their successors. By the grace of the Holy Spirit the same faith is taught, the same worship is offered, the same medicine of immortality dispensed, that was first established by the outpouring of the Holy Spirit on the first Christian Pentecost on or about 33AD. This living witness, continuity of life and practice, witnessed to by the various writings of the Apostles and their immediate disciples is still vibrant and efficacious in our midst. As a community of both lifelong and newly converted Orthodox Christians, we have members from a wide variety of backgrounds and ethnic groups. All services are in English. If you are looking for an Orthodox Church to visit or attend regularly or are just investigating the historic Orthodox Christian faith we invite you to visit or contact us. Our church is located near the campus of the University of Illinois and downtown Urbana, Illinois. We are just west of the Urbana Free Library and Busey Bank in downtown Urbana at 312 West Elm. Be sure to check out our News page (and Google Calendar) for up-to-date service information. Here is the confirmed Holy Week service schedule. Fr. Gregory Jensen will be serving from April 8 through April 14. Fr. Sebastian will serve the Holy Saturday vesperal Liturgy, Pascha services and Agape vespers. We are truly grateful for their help, and also thank Fr. Nabil Hanna who is coordinating all our services until Fr. James is able to return. Fr. Moussa Haddad will serve the Presanctified Liturgy. Fr. Sebastian will serve Great Vespers. Fr. 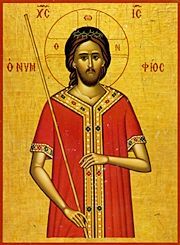 Sebastian will serve Matins at 9AM and Divine Liturgy at 10AM. Information on future services will be provided by email as it becomes available. We will also try to keep the website up to date with service information. Please continue to keep Fr. James in your prayers for a speedy and complete recovery. St. Nicholas is sponsoring a retreat on Orthodox spirituality with Fr. John Oliver October 14-16. The Parish Life Conference of the Diocese of the Midwest, presided over by His Grace Bp. ANTHONY will convene at St. Mary Basilica in Livonia, Michigan June 22-26.